Age UK Solihull helps to improve the lives of older people living in Solihull. Age UK Wolverhampton (Formerly Age Concern) supports older people in the Wolverhampton area; helping them to make later life a fulfilling and enjoyable experience. Aspire Living Ltd provides a range of personalised services for people with a learning disability and other clients who have identified and established needs in the county of Herefordshire. Baby Lifeline is a unique charity that supports the care of pregnant women and their unborn and new-born babies. Beacon Centre For The Blind, Wolverhampton, is here to help local people with sight loss live fuller and more independent lives by offering them the finest facilities and support. Birmingham Dogs Home cares and protects stray dogs from the city streets of Birmingham and surrounding towns and villages in the West Midlands. The Brain Tumour Charity's aim is to improve the understanding, diagnosis and treatment of brain tumours. Border Collie Trust GB's aim is rescuing and rehoming border collies throughout the UK. Cerebral Palsy Midlands empowers people with cerebral palsy and supports them in their efforts to maximise their abilities and independence. Changing Lives supports girls and women as they take control of their lives. We provide a platform so that they can challenge discrimination. Duckworth Worcestershire Trust is dedicated to the conservation, protection and enhancement of the natural and built environments for the people of Worcestershire. 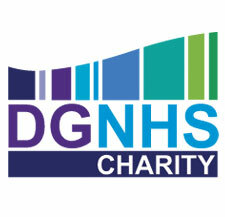 Dudley Group NHS Trust fundraises for charitable donations that enable hospitals in the region to give extra comfort and facilities above and beyond those which are supplied by the NHS. The Family Care Trust supports people with all types of disability and across all ages, along with their carers and relatives. Happy Staffie Rescue offers secure shelter, health/temperament assessment, veterinary treatment, a non-destruction policy, active re-homing program for Staffordshire Bull Terriers. The Haven are an independent charitable organisation which provides practical and emotional support services to women and children affected by domestic violence, homelessness and abuse. Hereford Wildlife Trust is the largest membership-based wildlife organisation in the area, dedicated to inspiring people about wildlife, acting as a wildlife champion, creating wildlife havens and encouraging sustainable living. Herefordshire Mind provides personal advice and support to empower anyone experiencing a mental health problem so that they can live a better life. The Joanna Brown Trust encourages involvement in sport. To provide people with an opportunity to experience sport and excel in it. 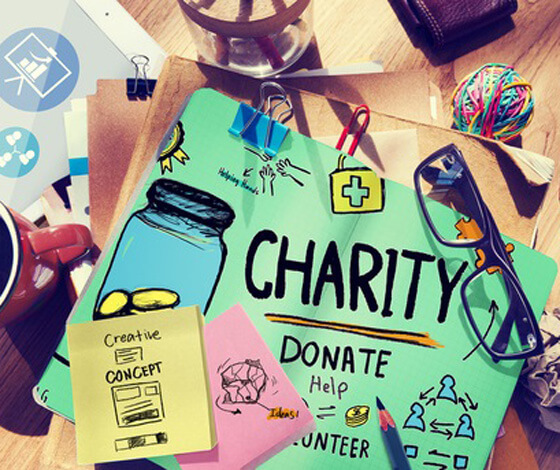 100% of all the money we receive through donations goes directly to our cause and sporting projects. Leukemia Care provides vital care and support to all whose lives have been affected by leukaemia, Hodgkin, non-Hodgkin and other lymphomas, myeloma, myelodysplasia, myeloproliferative disorders and aplastic anaemia. Mary Stevens Hospice provides high-quality care for adults aged 18 years and over with illnesses such as cancer, multiple sclerosis, motor neurone disease, Parkinson’s disease, advanced renal and cardiac disease, and HIV/AIDS. The Muscular Dystrophy Campaign's aim is to find treatments and ultimately cures for muscular dystrophy and related conditions and improve the lives of all those affected. Omega supports carers and their families, including those with responsibility for looking after a patient with a life-limiting or long-term condition; the charity also provides support to former carers, the bereaved and socially isolated individuals. Peter Pan Nursery in North Staffordshire provides professional support and care to children from birth to five years old who have a wide range of disabilities, conditions and syndromes, such as Cerebral Palsy, Down Syndrome, Autistic Spectrum Disorder, Visual and Hearing Impairments, Physical delays and Speech and Language delays. Perry Barr Retired Greyhound Trust is set up to find homes for all of the Perry Barr Greyhounds when they are no longer able to race. Primrose Centre Of Care Worcester is an independent charity, offering advice and support to patients living with life limiting illnesses and their families in the North Worcestershire area. Scleroderma & Raynaud's UK is an independent charity, offering advice and support to patients living with life limiting illnesses and their families. Shropshire Wildlife Trust protects your local wildlife. There are so many benefits to spending time outdoors. You can now share your wild life experiences and read other people's wild life stories from across the UK. SIFA Fireside works with those who are homeless, affected by alcohol or otherwise socially excluded to improve their physical, social and mental well-being. Spinal Muscular Atrophy Support UK is a national charity which informs, supports and empowers families and individuals affected by all forms of Spinal Muscular Atrophy whilst raising awareness of the condition. Sport 4 Life is the award-winning charity that changes the lives of disadvantaged children and young adults through the power of sport. Stacey's Trust, South Shropshire, offers a bereavement support aimed at 11 - 18 year olds who have lost someone special in their lives. St Basils Birmingham works with 16-25 years olds across Birmingham, Solihull, Sandwell and North Worcestershire who are homeless or at risk of becoming homeless. Wolverhampton MS Therapy Centre are an independent registered charity and as such all people with MS are welcome. Worcestershire Wildlife Trust protects local wildlife so that where everyone can appreciate, enjoy, help restore and protect it for the future.